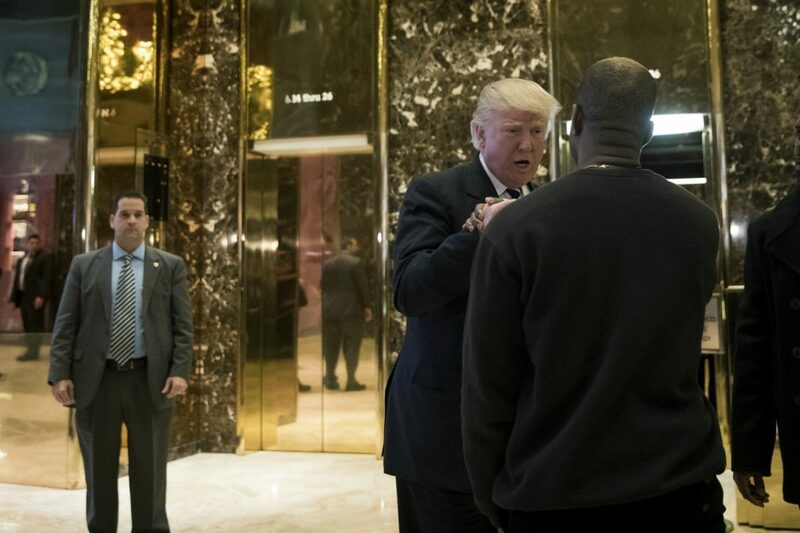 On October 11, Kanye West proudly wore a red Make America Great Again hat as he met with Donald Trump, telling the president that the controversial headgear made him “feel like Superman.” Mere days later, on October 30, West took to Twitter to declare that he’d seen the light and was “distancing [himself] from politics.” This weekend, his “free-thinker” rants didn’t make it onstage at Tyler, the Creator’s seventh annual Camp Flog Gnaw Carnival, where Kanye performed alongside Kid Cudi as Kids See Ghosts. And the crowd at Dodger Stadium seemed eager to let bygones be bygones. But, Kanye’s politics–or lack thereof–don’t seem to be hurting his brand. A crowd of 50,000 fans watched as Kanye and Cudi floated overhead, performing inside a rectangular glass case. The Twittersphere produced the usual, meme-ifying Kanye’s questionable dance moves and waxing nostalgic as he performed classic hits from his 2008 studio album 808s and Heartbreak. People also mocked the widespread suggestion that Kanye’s popularity would suffer because of his recent foray into right-wing politics, that he’d been (or should be) “canceled,” so to speak. Whether you like it or not, Kanye clearly has not been canceled. Easily one of the best performances of the year! thank you so much @CampFlogGnaw, @kanyewest, @KidCudi for these incredible emotions! !